– Profile , Settings etc. – Complete GIGs module . Payout tracking – All the payments are automated, you can manage your members and money easily from the backend. Save Money – Our Fiverr Clone is availble at cheapest on net Just for 49$ . 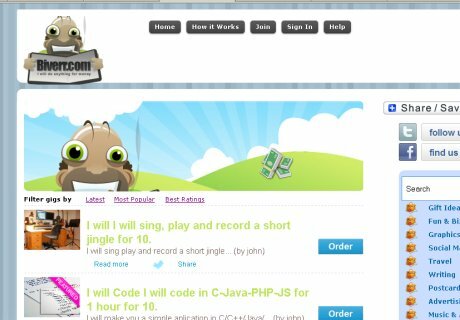 Hiverr is the first and the best Micro Jobs Marketplace script. Anyone having no technical knowledge even can now start a marketplace using Hiverr within a few hours. Hiverr support multiple priced gigs with facebook integration and video gigs. Compared to our competitors, we’ve always tried our best to enrich the script with innovation, quality and security. 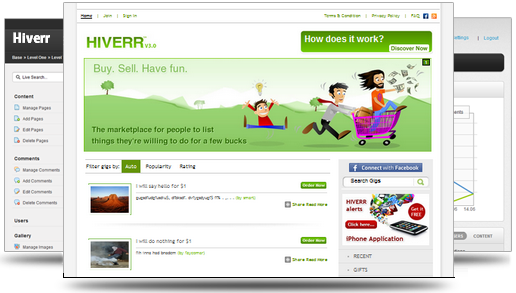 Agriya has developed a complete Fiverr clone with all the functions and features of the original site. When it comes to online business, you can’t afford to take any chances which is why the biggest sites and best entrepreneurs choose Agriya to provide a dependable, scaleable, fully supported solution for them. Sure there are other choices in the market, you could go for a cheap script which has been coded by a freelancer and sold by someone who doesn’t know their PHP from their mySQL, but what kind of support can you expect after the sale? The theme for WordPress CMS which has similar capabilities to these of Fiver. Even if its not the clone once installed it will create the site with very similar functionality. Being the customer of Agriya myself I wish to say couple of points. I have seen lot of cheapest php scripts to clone fiverr functionality but Agriya script seems to least costly. Initial I found hard to invest in it but after looking through all the features I decided to go ahead. Finally, these guys have provided wonderful service, and they help me out with installation and initial setup. Just paid clones, in some cases you need to pay almost 500$ for a Fiverr copy! This is just crazy, in my opinion. Right, these clones got expensive since the post was written few years ago. This means there are folks who are paying for these.